Alma Itzhaky is a Tel Aviv-based artist. 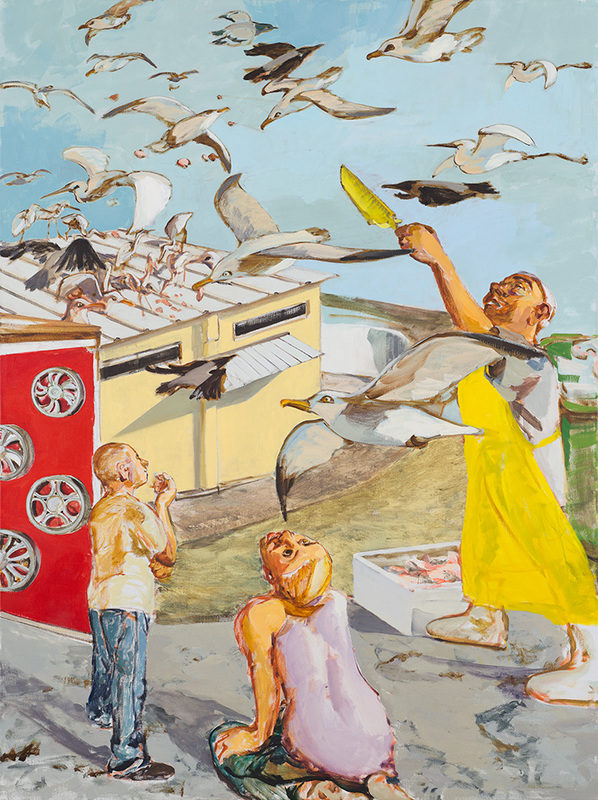 Her urban environment has influenced many of her works, allowing her to capture slices of life that reflect Tel Aviv-Jaffa’s contemporary political conditions without missing its vibrancy. This way of seeing political and personal matters as intrinsically linked is a constant in her works–even those that are not rooted in any physical setting. In her new solo show, The City is the Pot, and We are the Meat, curated by Ofra Harnam, Itzhaky applies personal and political elements in order to focus on the human body and its decomposition. In three bodies of work, composed of her tried-and-true oil paintings, and her experimentation with watercolors and video, she pieces together the idea that the human body is a condition of the outside world and its innermost thoughts. 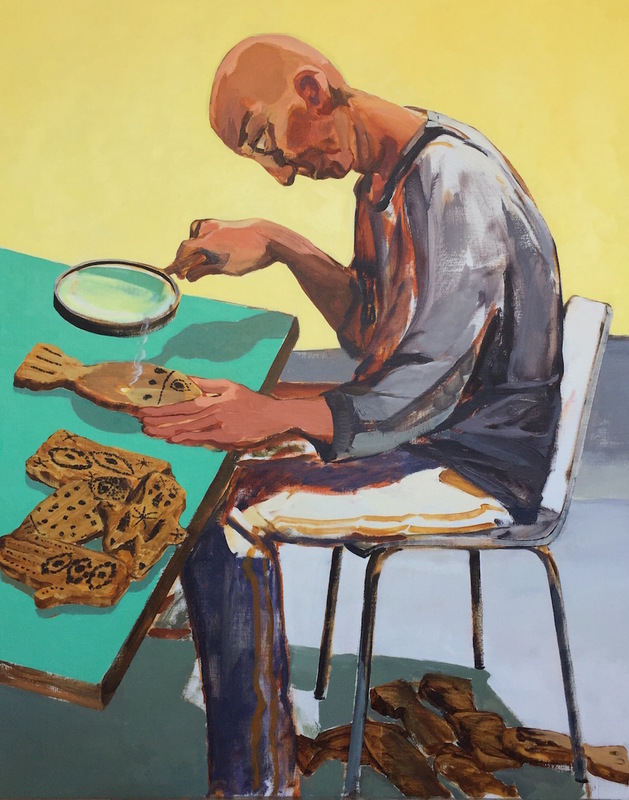 In some ways, the oil paintings in The City is the Pot are connected to Itzhaky’s previous show, Judaea Navalis, which was exhibited at the Tel Aviv Museum of Art in 2015 and portrayed life in Tel Aviv-Jaffa. In her new oil paintings, the same setting enables Itzhaky to explore how the physical body deteriorates when exposed to an intense environment. This starts on the South Tel Aviv street just outside her studio, which she describes as male-dominated, underdeveloped and noisy. These aspects are, in part, political ramifications that define and distinguish South Tel Aviv from the rest of the city. But these works feel personal more than they do ideological. Itzhaky’s gaze reflects this as she introduces the unexpected, interesting characters whom she experiences daily—like the figurine crafter who works outside everyday, no matter the weather—with a certain amazement at how they withstand the elements. Itzhaky’s signature style allows her to construct, through her brushstrokes, the musculature posture of the damaged body. In this way, the aesthetics reinforce the underlying theme of an “exposed existence”. The oil paints also capture the color and energy of the environment, reflecting its political reality and Itzhaky’s deeply intimate knowledge of it simultaneously. 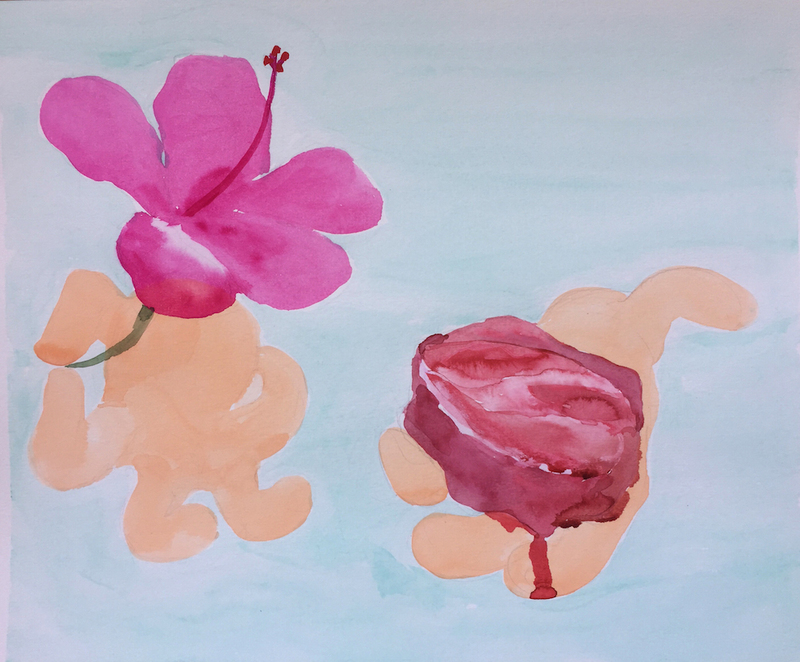 The watercolor and video works are not only new mediums to Itzhaky, they allow her to turn inward while considering the body and its ruin and bring an element of playfulness. These materialized during the US presidential campaign and the outbreak of fires in Israel, when Itzhaky was completing her Rappaport Prize residency in New York. She describes that time as feeling “biblical…as if the world caught fire” (The title of the show comes from Ezekiel and refers to this notion of doom.). (The title of the show comes from Ezekiel and refers to this notion of doom.). In New York, she was missing what was so vital to her oil paintings: a deep connection to her place. Instead, she was able to tap into her own “personal rumination about death” that arose in response to the political crisis, and she shows how an internal experience like this can also affect the body. The watercolor paintings hone in on the “extreme bodily conditions, [such as] sexual pleasure or falling apart” and the cultural norms that suggest these are somehow shameful and must be buried under a facade. They stem from Itzhaky’s own personal interest in how so many religions, Judaism included, have extensive laws about the body. These works explore the tension between what one feels on the inside and how that person presents on the outside can make for a distressing internal experience, and this causes the body harm. This conflict is reinforced aesthetically; at first glance the lightness of the watercolors project a feeling of whimsy, but in contrast to the heaviness of the emotions that are involved, this is just another façade. “Is death a worst-case scenario or something to come to terms with”? These views tend to vary among cultures, but Itzhaky’s video offers its own take; with a dog eating a piñata, it reflects an amusing, not-worst-case scenario of death. With confetti and all, it is an (outwardly) playful way in which she revisits her election-induced existential thinking, as well as the religious and cultural norms surrounding the treatment of the body after death. Most of all, it is a personal conclusion to Itzhaky’s investigation into the processes that drive the body’s deterioration. “The City is the Pot, and We are the Meat” is on view at Hezi Cohen Gallery through Saturday, 15.7.2017.